A few weeks ago I demonstrated how to perform real-time object detection using deep learning and OpenCV on a standard laptop/desktop. After the post was published I received a number of emails from PyImageSearch readers who were curious if the Raspberry Pi could also be used for real-time object detection. …but only if you set your expectations accordingly. Even when applying our optimized OpenCV + Raspberry Pi install the Pi is only capable of getting up to ~0.9 frames per second when applying deep learning for object detection with Python and OpenCV. Well, that depends on your application. But if you’re monitoring a low traffic environment with slower moving objects, the Raspberry Pi could indeed be fast enough. In the remainder of today’s blog post we’ll be reviewing two methods to perform deep learning-based object detection on the Raspberry Pi. Today’s blog post is broken down into two parts. In the first part, we’ll benchmark the Raspberry Pi for real-time object detection using OpenCV and Python. This benchmark will come from the exact code we used for our laptop/desktop deep learning object detector from a few weeks ago. I’ll then demonstrate how to use multiprocessing to create an alternate method to object detection using the Raspberry Pi. This method may or may not be useful for your particular application, but at the very least it will give you an idea on different methods to approach the problem. The code we’ll discuss in this section is is identical to our previous post on Real-time object detection with deep learning and OpenCV; therefore, I will not be reviewing the code exhaustively. For a deep dive into the code, please see the original post. Instead, we’ll simply be using this code to benchmark the Raspberry Pi for deep learning-based object detection. We initialize CLASSES , our class labels, and corresponding COLORS , for on-frame text and bounding boxes (Lines 22-26), followed by loading the serialized neural network model (Line 30). Wwe initialize the video stream and allow the camera warm up for 2.0 seconds (Lines 35-37). On Line 35 we initialize our VideoStream using a USB camera If you are using the Raspberry Pi camera module you’ll want to comment out Line 35 and uncomment Line 36 (which will enable you to access the Raspberry Pi camera module via the VideoStream class). From there we start our fps counter on Line 38. Lines 41-55 simply grab and resize a frame , convert it to a blob , and pass the blob through the neural network, obtaining the detections and bounding box predictions. On Lines 58-80, we loop over our detections . For each detection we examine the confidence and ensure the corresponding probability of the detection is above a predefined threshold. If it is, then we extract the class label and compute (x ,y) bounding box coordinates. These coordinates will enable us to draw a bounding box around the object in the image along with the associated class label. Lines 82-91 close out the loop — we show each frame, break if ‘q’ key is pressed, and update our fps counter. The final terminal message output and cleanup is handled on Lines 94-100. Now that our brief explanation of real_time_object_detection.py is finished, let’s examine the results of this approach to obtain a baseline. Go ahead and use the “Downloads” section of this post to download the source code and pre-trained models. As you can see from my results we are obtaining ~0.9 frames per second throughput using this method and the Raspberry Pi. Compared to the 6-7 frames per second using our laptop/desktop we can see that the Raspberry Pi is substantially slower. That’s not to say that the Raspberry Pi is unusable when applying deep learning object detection, but you need to set your expectations on what’s realistic (even when applying our OpenCV + Raspberry Pi optimizations). Note: For what it’s worth, I could only obtain 0.49 FPS when NOT using our optimized OpenCV + Raspberry Pi install — that just goes to show you how much of a difference NEON and VFPV3 can make. Using the example from the previous section we see that calling net.forward() is a blocking operation — the rest of the code in the while loop is not allowed to complete until net.forward() returns the detections . So, what if net.forward() was not a blocking operation? Would we able to obtain a faster frames per second throughput? No matter what, it will take approximately a little over a second for net.forward() to complete using the Raspberry Pi and this particular architecture — that cannot change. But what we can do is create a separate process that is solely responsible for applying the deep learning object detector, thereby unblocking the main thread of execution and allow our while loop to continue. Moving the predictions to separate process will give the illusion that our Raspberry Pi object detector is running faster than it actually is, when in reality the net.forward() computation is still taking a little over one second. The only problem here is that our output object detection predictions will lag behind what is currently being displayed on our screen. If you detecting fast-moving objects you may miss the detection entirely, or at the very least, the object will be out of the frame before you obtain your detections from the neural network. Therefore, this approach should only be used for slow-moving objects where we can tolerate lag. For the code walkthrough in this section, I’ll be pointing out and explaining the differences (there are quite a few) compared to our non-multprocessing method. Our imports on Lines 2-10 are mostly the same, but notice the imports of Process and Queue from Python’s multiprocessing package. Our new classify_frame function is responsible for our multiprocessing — later on we’ll set it up to run in a child process. net : the neural network object. inputQueue : our FIFO (first in first out) queue of frames for object detection. outputQueue: our FIFO queue of detections which will be processed in the main thread. This child process will loop continuously until the parent exits and effectively terminates the child. In the loop, if the inputQueue contains a frame , we grab it, and then pre-process it and create a blob (Lines 16-22), just as we have done in the previous script. From there, we send the blob through the neural network (Lines 26-27) and place the detections in an outputQueue for processing by the parent. There is no difference here — we are simply parsing the same command line arguments on Lines 33-40. This code is the same — we initialize class labels, colors, and load our model. On Lines 56-58 we initialize an inputQueue of frames, an outputQueue of detections, and a detections list. Our inputQueue will be populated by the parent and processed by the child — it is the input to the child process. Our outputQueue will be populated by the child, and processed by the parent — it is output from the child process. Both of these queues trivially have a size of one as our neural network will only be applying object detections to one frame at a time. It is very easy to construct a child process with Python’s multiprocessing module — simply specify the target function and args to the function as we have done on Lines 63 and 64. Line 65 specifies that p is a daemon process, and Line 66 kicks the process off. Don’t forget to change your video stream object to use the PiCamera if you desire by switching which line is commented (Lines 71 and 72). On Lines 80-82, we read a frame, resize it, and extract the width and height. First we check if the inputQueue is empty — if it is empty, we put a frame in the inputQueue for processing by the child (Lines 86 and 87). Remember, the child process is running in an infinite loop, so it will be processing the inputQueue in the background. Then we check if the outputQueue is not empty — if it is not empty (something is in it), we grab the detections for processing here in the parent (Lines 90 and 91). When we call get() on the outputQueue , the detections are returned and the outputQueue is now momentarily empty. If you are unfamiliar with Queues or if you want a refresher, see this documentation. If our detections list is populated (it is not None ), we loop over the detections as we have done in the previous section’s code. In the loop, we extract and check the confidence against the threshold (Lines 100-105), extract the class label index (Line 110), and draw a box and label on the frame (Lines 111-122). In the remainder of the loop, we display the frame to the screen (Line 125) and capture a key press and check if it is the quit key at which point we break out of the loop (Lines 126-130). We also update our fps counter. To finish out, we stop the fps counter, print our time/FPS statistics, and finally close windows and stop the video stream (Lines 136-142). Now that we’re done walking through our new multiprocessing code, let’s compare the method to the single thread approach from the previous section. Here you can see that our while loop is capable of processing 27 frames per second. However, this throughput rate is an illusion — the neural network running in the background is still only capable of processing 0.9 frames per second. Note: I also tested this code on the Raspberry Pi camera module and was able to obtain 60.92 frames per second over 35 elapsed seconds. The difference here is that we can obtain real-time throughput by displaying each new input frame in real-time and then drawing any previous detections on the current frame. Once we have a new set of detections we then draw the new ones on the frame. …however, our script still reports the objects as being present. Objects are slow moving and the previous detections can be used as an approximation to the new location. Displaying the actual frames themselves in real-time is paramount to user experience. In today’s blog post we examined using the Raspberry Pi for object detection using deep learning, OpenCV, and Python. As our results demonstrated we were able to get up to 0.9 frames per second, which is not fast enough to constitute real-time detection. That said, given the limited processing power of the Pi, 0.9 frames per second is still reasonable for some applications. We then wrapped up this blog post by examining an alternate method to deep learning object detection on the Raspberry Pi by using multiprocessing. Whether or not this second approach is suitable for you is again highly dependent on your application. If your use case involves low traffic object detection where the objects are slow moving through the frame, then you can certainly consider using the Raspberry Pi for deep learning object detection. However, if you are developing an application that involves many objects that are fast moving, you should instead consider faster hardware. 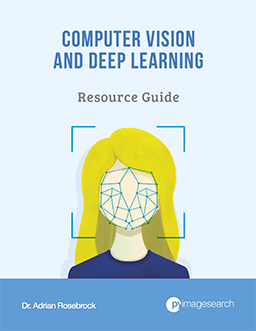 And if you’re interested in studying deep learning in more depth, be sure to take a look at my new book, Deep Learning for Computer Vision with Python. Whether this is the first time you’ve worked with machine learning and neural networks or you’re already a seasoned deep learning practitioner, my new book is engineered from the ground up to help you reach expert status. Just click here to start your journey to deep learning mastery. Thanks, dr.adrian for this great article! It is working fine with me, but I have a small question. I want to detect insects in real time using raspberry, do you recommend any pre-trained module that can do the object detection for insects not just persons, dogs, sofa …etc? if there isn’t what should u do in general to achieve my aim? I’m not aware of a pre-trained model that specifically detects insects. I would suggest fine-tuning an existing, pre-trained neural network. I discussing fine-tuning inside Deep Learning for Computer Vision with Python. actually I am looking to do project with pie to detect the preloaded or default setup image and sending a control signal if it was detected, could suggest me please how to do with open cv is there any code with you. Very impressive! My own experiments on RPi was about 3 or 4 seconds per frame. So almost 1 fps is quite an improvement from that. With a moderately wide-angle lens that could already be useful, unless you must have the object almost completely fill the frame. Does this code fully utilize all 4 cores on the RPi 3, or is there potentially some additional parallelization possible? There are always more optimizations that can be made, it’s just a matter of if it’s worth it. The fully utilize all cores to their maximum potential we would need OpenCL (which to my knowledge) The Raspberry Pi does not support. Thanks. I have yet to try your code, but if (for example) it only uses 2 cores and it’s CPU-bound rather than memory or I/O bound, you ought to get a speedup by simply instantiating two separate processes, one looking at odd frames and one doing even frames. But maybe it’s not that easy; you might run out of memory. Came across this article by accident. Great site. I realise this is a python based site but what are the speed improvements were this to be implemented in C++ for comparison sake? Hi Jay — I’m glad you enjoyed the blog post. 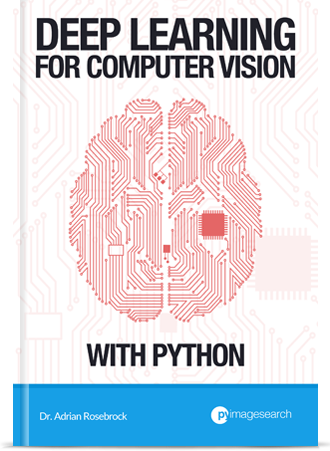 Python is just a wrapper around the original C/C++ code for OpenCV. So the speed will be very similar. My pi3 runs this script at 98% CPU load, and core temperature reaching it’s peak. How do I bring this down? In short, you can’t without reducing the frames per second processing pipeline. If you are concerned about peak temperature you should only process one frame every 10-15 seconds. Thanks for the reply, so how do i reduce the frames per second processing pipeline? I would recommend inserting a time.sleep call at the end of each iteration of the loop. Thanks a ton for remembering us Pi enthusiasts. I first got interested in image analysis after someone stole your beer, but was afraid you would lose interest in the Pi after purchasing the beast. Looking forward to diving in to this post and reading the new book. How is this method different from using Squezenet for object detection on a raspberry pi? The one you posted a couple of weeks ago? Also what are the pros and cons of using squezenet over this method? SqueezeNet is an image classifier. It takes an entire image and returns a single class label. It does no object detection or localization. The SSD and Faster R-CNN frameworks can be used for object detection. It requires that you take an architecture (SqueezeNet, VGGNet, etc.) and then train it using the object detection framework. This will minimize the joint loss between class label prediction AND localization. The gist is that vanilla SqueezeNet and SSD are two totally different frameworks. If you’re interested in learning more about deep learning (and how these architectures differ), I would definitely suggest working through Deep Learning for Computer Vision with Python where I cover these methods in detail. I am also getting same error as above mentioned. I read out your suggestion of “command line argument” but didn’t able to understand how to use it. So, help me ,how would i remove this error? Hey Aman — this blog assumes some basic knowledge of working the command line. If you’re new to the command line that’s okay — we all start somewhere! Take the time to familiarize yourself with command line arguments before continuing. Otherwise, be sure to Google “command line name of your operating system” and and read up on how to use the command line for your OS. Impressive tutorial.This article helped me a lot,thank you! Great post as always, Adrian! I have learned a lot about computer vision from the content on your site. Regarding doing AI on the Pi, I would personally not do detection and recognition on an edge device. At least not until they ship a Pi with an AI chip and a decent GPU! And maybe not even then, due to the high power (electricity) consumption of AI. I’d much rather use the Pi as a sensor + basic signal processor, WiFi over all the video / sensor signals to a CPU box, and run all the algorithms on that box. So I guess I agree with your conclusions. Hi Sachin — thanks for the comment. I actually discuss the tradeoffs of using the Raspberry Pi for deep learning in this post. In general, I do agree with you that a Raspberry Pi should not be used for deep learning unless under very specific circumstances. Any specific CPU box that you think is a good (relatively cheap) option for doing the post-processing? What type of post-processing are you referring to? The type of post-processing you are doing would impact my suggestion. Are you using your own custom trained SqueezeNet using the SSD framework? Keep in mind that you cannot swap out networks trained for image classification and use them for object detection. SqueezeNet v1.1 is slower because it utilizes ResNet-like modules. These increase accuracy, but slow the network down a bit. I think that’s not the point. It’s the difference between SqueezeNet-SSD and SqueezeNet that causes the speed difference. Thanks for the note, I must have misunderstood the original comment when I read it the first time. In general, yes, image classification networks will tend to run faster than object detection networks. Thanks for letting me know, David! I have updated the post. Actually, I’m a starter in deep learning, but I want to use the Raspberry Pi for deep learning object detection. One question: Does x-nor net improves the speed results? I haven’t used XNOR net to benchmark it, but from the paper the argument is that you can use XNOR net to speedup the network. You end up saving (approximately) 32x memory and 58x faster convolutional operations. Can we only detect people or car (i.e. specific class) by changing the python code? Yes. Check the idx of the predicted class and filter out the ones you are uninterested in. Hi Adrian, will this in any way improve the performance i.e will it decrease required processing power from the pi? No, it will not speedup or slowdown the Pi. A full forward pass of the network still needs to be performed. I’ve been wanting to do this for months, and it was this that got me to your website, so thank you! following the ‘Accessing the Raspberry Pi Camera with OpenCV and Python’ tutorial, so I can have my own dataset by using the Pi to do all the hard work. However I keep getting an mmalError message. How would you go about taking a frame from the Pi when it detects an object and saving that frame in a folder with that object’s class so you can have a dataset to work with? I would suggest debugging this line-by-line. Try to determine what line is throwing the error by inserting “print” statements. If you can provide that, I can try to point you in the right direction. From there, you can use the cv2.imwrite to save your image to disk. You can format your filename using the detected label and associated probability returned by net.forward. Which is inconsistent, as the third and first frame should have the same result. However, if for each detection I reload the model, this issue does not occur. It looks as though the net retains previous detections? Do you have any idea what this could be? If need be, I can provide example data and source. Hi Roald — this is indeed strange; however, I would double-check your images and 100% verify that you are passing in the correct images as you expect. The network should not be retaining any type of memory from previous detections. Secondly, check the confidence (i.e., probability) of your false-positives and see if you can increase the confidence to filter out these weak detections. How do I specify the path for the protext file and the model file to ap.add_argument. They are all in the same folder. Please read up on command line arguments. This will enable you to learn more about command line basics. Furthermore, I also present examples on how to run the Python script via the command line inside this blog post. Hi, i also got the same problem while running the python program. I cover ball/object tracking inside this post. I’m great fan of all your articles and I ought learn more from you. I’m presently running on ubuntu mate on raspberry pi 3, I even optimized pi, the way you told in previous post. I removed the unnecessary applications of ubuntu mate which I’m not using. The code runs without any error. But the problem is GPU rendering, I get the frame, but I can’t visualize the video it’s recording. it continuously lags after code starts running. The Raspberry Pi will only be able to process ~1 frame per second using this deep learning-based object detection method so the lag is entirely normal. Is there another type of lag you are referring to? you only have to uncomment the line no. 76 and comment line no. 75 in your ”pi_object_detection.py” file. nothing any more to add anything ! will u please tel me how to detect human(person) within a fraction of second. i used this coding technique, found idx values and compared with threshold but its having one to two second delay. please suggest how to detect human within fraction of second. please help to find human within fraction of second using raspberry pi-3. I would suggest taking a look at this blog post to start. Even with an optimized OpenCV install you are not going to be able to detect objects in a fraction of a second on the Raspberry Pi, it’s simply too slow. I would suggest trying the Jetson TX1 and TX2. Fantastic Work. Thanks a lot for sharing the code. I used an IP camera that streams h264/Jpeg camera over RTSP and was able to see fps of 0.6 as compared to 0.9 you see. Not Bad I guess. Exploring avenues to increase the fps count. Hi, can you share code to RTSP input? Are you referring to the Raspberry Pi? The Raspberry Pi does not include any out-of-the-box image processing software for MATLAB. Hi Adrian! I wanted to know if it is needed to have opencv 3.3 to run this programme since everytime i try to intall it my rasp gets frozen. i have installed previous versions of opencv without problem. Hi Andres — yes, OpenCV 3.3 is required for this blog post. If you’re having trouble getting OpenCV installed on your Pi, please see this tutorial. Thx for this great blog, I got it working on my robot with raspPI3&arduino. I am streaming the output frames to a webclient, because the robot has no monitor attached. However, it is very slow given all the other processes that are running in my robot script. So it takes 10 seconds to identify the objects…. Is it possible to limit the number of known objects to look for, for example to look only for persons, sofa, potted plant and chair? Would this speed up the detection process? (since i don’t have airplanes or cars in my living room where the robot is supposed to manouvre.. The speed of the object detection has nothing to do with the number of classes — it has to do with the depth/complexity of the network (within reason). The deeper/more complex the network, the slower it will run. I have a tutorial on optimizing the Raspberry Pi but in general, if you want to deploy a deep learning object detector, the Raspberry Pi is not the right hardware. I would recommend an NVIDIA Jetson. Hey. That was a great tutorial. And eventually worked for me. I want to make this thing to run at my raspberry pi boots. I tried it in linked way (https://pastebin.com/zjyEq99c) but I failed. Is there any way to do it? I’m looking for the help. I would recommend following this tutorial where I demonstrate how to run the script from boot. Be sure to take a look at the comments as well where we discuss a few other alternative methods. Really Nice. Keep up the good work. I am using Pi & open cv for the first time in my life and i simply followed your mentioned steps from the installation tutorial and it really worked. Then I integrated this py code on my stretch os with external Logitech webcam (C920-C) and it did work for the first time and i was really happy to see it working. Later, I restarted Pi to check the behaviour again and all of sudden it stopped working and started throwing error on command window.Now i am stuck.. Unable to stop the stream: Device or resource busy”. Then i started researching on google, found many blogs and its a common issue, but unfortunately i could not crack it. Do you have any other solution for this to solve it easily. and I am pretty sure I did not messed up the installation. It sounds like your Raspberry Pi is unable to read the frame from your camera sensor as vs.read() is returning None. Are you using the Raspberry Pi camera module? Or a USB camera? I would also suggest reading up on NoneType errors as I discuss here. How did you solve it? I have same issue. Thank You Adrian. But I wonder if I can detect the cube. Is there any packages like Caffe that can detect the cube of a particular dimension. Thank You in advance. Hey Benni — are you trying to detect just a cube? Or the dimensions associated with a cube? Hi Adrian, thanks for the great tutorial. I am following your tutorials from long time. I followed this tutorial and it worked as expected, Thanks a lot. Does the detection time depend on image resolution. Can we reduce the detection time if connect any low resolution USB camera to raspberry pi. The input resolution to the neural network is fixed in this case (300x300px). Reducing the resolution from the USB camera to the Pi will speedup the frame acquisition rate but keep in mind that the bottleneck here isn’t frame I/O — it’s the speed of the SSD performing object detection. How can i track a detected object? E.g. I want to track the movement of first detected person among all people present in front of camera. I would suggest taking a look at tracking algorithms, in particular “correlation tracking”. The dlib library has an implementation of correlation tracking. Hi Adrian. Maybe you know how to stream this real time object detection to the local area website (web browser)? Hi Dom — I don’t have any tutorials on streaming the output frames to a web browser but I’ll add this to my queue for 2018. Thank you for the suggestion! How to stream object detection in web? Maybe i can make it with flask or django? Thanks. Hey Gary — I do not have any tutorials for RTSP or MJPEG streaming but I’ll add it to my queue! Hi, Adrian. How is the recent progress in MJPEG research? I am looking forward to viewing your frames in the form of MJPEG stream! Hey Yin, thanks for following up. To be honest I haven’t had a chance to dive into it yet. I’ve been wrapping up a series of other posts on deep learning but I will try to do it sometime in 2018. Have you considered the possibilities of the new Google AIY Vision kit? Seems to be some kind of co-processor/microcontroller add on board (vision bonnet) that is supposed to let a PiZero-W run deep learning object detection and classification models. Presumably it could work with the Pi3 as well. Google provides a “compiler” that takes a tensorflow “frozen model” and produces code to run on the vision bonnet. Obviously my hope here would be to get a higher frame rate than Pi3 can provide. The cost of the vision bonnet kit (~$45) and a PiZero-W (~$10) would not be too much above the price of a Pi3 if we can increase the frame rate significantly. I am interested in playing around with the Google AIY Vision Kit but I haven’t purchased one yet. I’m still a bit concerned with using a Pi Zero. With only a single core responsible for all system + user operations your frame rate will suffer even if you are using threading to decrease I/O latency. I am using your Raspberry Pi image from your course, and the above code, and get the following error. Googling the error doesn’t give me a clear path to resolving this, can you please advise? Hey Mark — you need OpenCV 3.3 or greater to access the “dnn” module that contains the deep learning features. Any OpenCV version prior to OpenCV 3.3. does not include them. I’m getting this error as well. I thought we downloaded OpenCV3.4 but when I do the version check it’s 3.1.0. I used your instructions on installing OpenCV on Raspbian and that was also the version that was displayed in your tutorial. Am I missing something? Unfortunately, it sounds like you may have downloaded OpenCV 3.1 rather than OpenCV 3.3 or OpenCV 3.4. I would go back to the OpenCV install tutorial you used and ensure you download the source code to OpenCV 3.3 or OpenCV 3.4 and then recompile. I hope that helps! Any idea ? Thanks in advance! Hi Paul — you need to have OpenCV 3.3 installed on your system. Anything older than OpenCV 3.3 does not have the “dnn” module. Can I use readNetFromTensorflow(.pb, .prototxt) instread readNetFromCaffe? It can detect object same Caffe or not? The readNetFromTensorflow function still doesn’t work in all cases. Whether or not it detects the same objects as the Caffe example in this blog post depends on what your TensorFlow network was trained on. Thank so much Adrian. I have weight.pb file from trained my own dataset in Tensorflow. But I don’t know how to train dataset with Caffe SSD_Mobilenet Model. Do you have plan to post tutorial train own images image dataset with Caffe? You can try importing your TensorFlow weights via cv2.dnn.readNetFromTensorflow but it’s very likely that it will fail. The TensorFlow import methods are not (currently) as reliable and robust as the Caffe ones. As for training your own custom object detectors, take a look at Deep Learning for Computer Vision with Python where I cover how to train your own custom deep learning-based object detectors in detail. as I can see there is one tested ssd mobilenet TF model that can be imported without issues but be careful with the version of the model. Thank you for sharing this, Sergei! The model provided with this example was trained on the COCO dataset. You would need to train your own custom model to recognize street poles and signs. To start, use this tutorial to gather example images of what you’re trying to detect. I then demonstrate how to train your own custom object detectors inside my book, Deep Learning for Computer Vision with Python — recognizing street signs is even one of the included tutorials! hi,Adrian. i’m a chinese boy learning computer science. I read a lot of posts you wrote. I don’t know why my raspberrypi run the code in this post is very slow(about 3-4s one frame). does the video quality affect the speed? and can i transmit the video frame from pi to my pc to compute and post the result to pi? As I discuss in this blog post the Raspberry Pi can be very slow for deep learning. If you are using a deeper, larger model the inference time will also be larger. As for transmitting a frame from your Pi to a PC you could use SFTP, Dropbox API, or even dedicated messaging passing libraries such ZeroMQ or RabbitMQ. That is indeed strange. 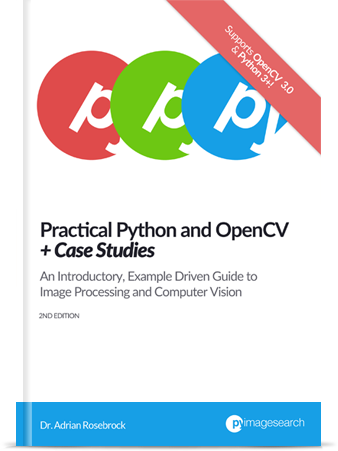 Can you fire up a Python shell and verify your OpenCV version just to be safe? Additionally, are you using a Python virtual environment? Do you have any other OpenCV versions installed on your Raspberry Pi? And how did you install OpenCV on your Raspberry Pi — did you use one of my install tutorials on PyImageSearch? Well it seems i didn’t have open cv installed in pi.I did it by your method and it is successfully done.One more problem is i created the real_time_obeject_detection file and downloaded the caffemodel etc.when i m executing i m getting error no module named imutils. Also the mobilenet ssd prototxt and caffemodel are saved in my downloads so should i make another file in pi3 to access them?I mean how the program will access that without knowing where it is saved? You can supply the paths to your prototxt and caffemodel files via the command line arguments, exactly as I do in the blog post. When you execute the script simply pass the paths to the prototxt/caffemodel files where they live on your system. Hi,Adrian. I use OpenCV and Tensorflow (Object Detetion API) on Raspberry Pi. But when I run code it have error gtk2.0 and gtk3.0 duplicate in same project. Do you know how to resolve it? Hey Kelvin, what is the exact error message? I would need to see the exact error to provide a suggestion. Any info to share yet on the Movidius Neural Compute Stick yet? I’ll be doing a blog post on the NCS either this coming Monday (Feb. 12th) or the following Monday (Feb. 19th). I am getting this error!!. Please kindly tell me the steps after i download the code in my pc how to execute it on raspberrypi3. you are in opencv virtual env and then inside pi-object-detection directory from where you executed files how can i do that? Notice how I have supplied values for --prototxt and --model via command line arguments. If you’re new to command line arguments make sure you read up on them. I gave the same commands and was getting the error.After i downloaded the files it is saved in F: drive if i provide the path like –prototxt f:\MobileNetSSD_depploy.prototxt.txt in raspberrypi terminal i am still getting error messages .My doubt is can raspberry access the files from system f or any drives or we need to make a directory in raspberrypi first and copy all this files and then provide the path like home/pi/dir?? I’m a bit confused here. You downloaded the .prototxt and .caffemodel files to your F: drive on your Windows machine and now you’re trying to execute the code on your Raspberry Pi? You need to download/transfer the .prototxt and .caffemodel files to your Raspberry Pi before you can run the script on your Raspberry Pi. Your Raspberry Pi cannot access the hard drive on your laptop/desktop. Additionally, read this guide on accessing your Raspberry Pi camera module. Beside detection can this process count an object like if I want to use it a surveillance cam which not only saves video but can do a accounting of numbers of defined object going in and out. Yes. Just create a counter for each object in your class labels and in the “for” loop on Line 58 you will increment the counter for the respective class label. The problem becomes tracking each object and not re-counting it at each iteration. For that you should use a dedicated object tracking algorithm such as correlation trackers or centroid trackers. this is a great project and now I’m working over it. Good demonstration. But I’m facing some problem . Like at 1st stacked at …. between line 80 and 81 .
and it’s not showing any error even. Raspberry pi is in working state and cpu usage showing around 56 to 60%. One thing is raspberry pi is working normally. This will be very helpful if you tell me the problem and that will do lot to me. Thank you sir. Hey Kawsur — make sure you take a look at the comments section. I’ve addressed the NoneType error a handful of times in the comments. Additionally, make sure you see this blog post where I discuss NoneType errors and how to solve them in more detail. I fixed that none type error. But as I said it’s not showing me any error now. Just loading and loading. I checked my pi camera and it’s also working. Will you please tell me what I need to add to take frame from pi camera. I checked your pi_object_detection code and there is nothing about frame input. Maybe I need to add some line about taking frame from pi camera . then camera star to detect object. Is there any problem with it? This is a warning, not an error, and can be safely ignored. Hey Kawsur how did you fixed it ? Thank you very much for creating this amazing blog, I have learned a lot from you and implemented most of your projects. I have a question, Could you please tell me if there’s more predefined classes that I could add like making pi able to detect objects like geometrical shapes and is it possible to detect text from live stream? I am concerned because I am now working on a license plate recognition using opencv since I can’t get openalpr to work with live streaming. I would suggest taking a look at the “Caffe Model Zoo” for more pre-trained models and seeing if any of them match your use case. More likely than not, you will likely need to train your own model. I’ve addressed this question a handful of times (please read the comments or ctrl + f the page and search for your error). See my replies to “Ahmad”, “aman”, and “Noble”. Thank you! Hi Adrian Thanks for the amazing blog. I downloaded the code from your website and tried to run it, but every time I run the code, my Pi Reboots. I am using Pi camera so I commented line 35 and uncommented line 36. Your Pi Reboots? Wow, that is odd behavior! I haven’t encountered this before, but it sounds like your Pi might have a firmware issue or it’s immediately getting overheated and dying. I would suggest trying with a fresh install of Raspbian. Hey, I am getting a error and I have no clue how to fix it, could you take a look? You need OpenCV 3.3 or greater for this post. OpenCV 3.3+ contains the “dnn” module. Previous versions of OpenCV do not. 2. CPU load is at 98% while running the object detection program, will the pi cam help reducing that in any way? if not, how do I bring it down? 1. You would need to either train the model from scratch or fine-tune it (assuming you have already gathered your dataset of counterfeit currency, of course). I cover how to train your own custom deep learning object detectors inside Deep Learning for Computer Vision with Python. I would suggest starting there. 2. Unfortunately no, deep learning models are very computationally intensive. It does not have anything to do with the Pi camera. It’s simply the amount of computation required by the network for the detection. Hi Adrian, a big fan of your work, actually i like to add on to Roger’s query of CPU load of 98 percent. 1. I was using this model to detect only people for a surveillance system based on pi camera v2.The problem is continual streaming,after 30 minutes there is a sign on the right side cropping up warning regarding the temperature of the core getting high. 2.So my query is how can we use this system to stream video continuously without the possibility of Pi getting damaged/burnt? 3. I have a lot of other queries as well and would love to interact with you if you have the time. Upto starting video stream is going right, but then I’m getting illegal instructor. I’ve searched the internet for a solution I couldn’t find the answer. Could you look into this error. I have a Raspberry Pi Model B+ V1.2 and Ras Pi camera module v2 noir and running raspbian stretch. Hey Shriram — I would suggest inserting “print” statements throughout the code to debug what line is causing the issue. That will help determine what the problem is. Could you help out with the problem? Great job diagnosing the problem, Shriram. I wonder if it could be an issue related to the VideoStream class used in conjunction with your camera. Perhaps a threading issue of some sort. Just to clarify — are you using a Raspberry Pi camera module or a USB webcam? I’m using a Raspberry Pi camera module V2 (NoIR) and Raspberry Pi Model B+ V1.2 . Try starting with this tutorial and see if you can access the NoIR camera via the raw “picamera” library first. Once you debug that move on to VideoStream. the programs runs, but in the video output, object detection isn’t being done. imutils.resize is the one causing the ‘Illegal instructor’. Can you help me out with this error? I tried it with some other values for width, but it didn’t execute. I even tried using cv2.resize, but then found that it can resize only images. I’m not sure what the exact reason is for this error. Does cv2.resize produce the same “illegal instruction” error as well? Hi Adrian.I followed your tutorial, and it works so well. Thanks. But, my video stream is upside down. How can I rotate it 180 degrees/ flip it vertically? If you are using the Raspberry Pi camera module you should take a look at the documentation and use either .hflip or .vflip. If you want a pure OpenCV approach, just use cv2.flip. Congrats on resolving the issue, Jibola. Would you mind share your solution? I imagine it was that your path to the .caffemodel was invalid but I know a lot of other readers new to the command line have the same error and your solution, expressed in your own words, would help them. You need to double-check your command line arguments — your input path to the model files are likely incorrect..
Hi,Adrian.I need your help. I use yolo v2 to train my datasets,and i got the tiny-yolo-voc_final.weights finally,but in this passage use .caffemodel,what shold i do? I have used darkflow transforming the.weights to .h5,if i want use your programme on my pi,I can apply it derectly or need to train my datasets useing caffe again? thank you very,much! I’m stupid and crazy. Hey Chopin — it’s been awhile since I’ve used DarkNet to train a network so I’m not sure on the best path to transform the resulting models to a Caffe model. I simply haven’t done it so I’m unfortunately not the right person to ask. In the worst case scenario you would need to re-train using Caffe rather than DarkNet, but you should spend some time researching the DarkNet to Caffe conversion and if it’s possible. I’m sorry I couldn’t be of more help here! okay. thank you again.you are a gentlman. You would need a “text to speech” Python library. I’m not sure which is the best one for that. Is there any way to live stream the output frame window to a local webpage?? What specifically do you mean by “deploy” in this context? Can you elaborate? Great work on this too, Adrian. I must say you have a good amount of patience to write this much with minute details. I just have one question. The scrip you have written here in the article, does it run on RasPi to achieve real time object detection or it runs on a computer using RasPi for just sending video stream? Thank you for the kind words, Nishant. The script I used in this post actually executes on the Raspberry Pi. It does not send the video anywhere. All video + object detection is performed on the Raspberry Pi. Can i live stream the output window frame of this object detection code to a webpage hosted locally on my raspberry pi. If there any way to achieve this? Hey Sunil — I don’t have any posts on real-time streaming to a webpage but I’ll try to cover this in the future. Thank you for the suggestion. Yep, you would need to either train your own model or fine-tune an existing one. I am getting this same exact error. I was wondering if you could go into greater detail on how to resolve it? Hey Jack — this still sounds like a path issue. Be sure to read up on command line arguments before continuing. I think you may have supplied an invalid path to the file. would you like to share your manner that you solve this probelm? i just encounter the same question.i use the vgg model for fine-tune and use the opencv loading this model. got any luck with this ? Do you know of any pre-trained models for traffic symbols i.e Start, Stop signs that I can use instead of the model you used? Hey Huzzi — I have a model pre-trained on traffic signs (ex. stop sign, pedestrian ahead, etc.) inside Deep Learning for Computer Vision with Python. Make sure you are running OpenCV 3.3+. The “dnn” module was not added until OpenCV 3.3+. You may need to compile and reinstall OpenCV. Thanks for this blog and valuable information! I tried to run forward pass to get detection using net.forward() . It works perfectly fine when there are object(s) trained on the image, although, when there isn’t an object, the net returns to me the detection of the last image that had the object. Has somebody stumbled on this issue? It’s hard to say what could be causing that issue. My guess would be a latency between the frame read, the network predicting the object, and the frame being displayed to your thread. Keep in mind that the Pi is really slow for object detection so there may be a number of issues going on. I want to ask you a question that what should i do to make my rasberry pi cam focus on one object at a time.for example if I want to make a Mechanical arm to pick utensils like plate,cup,bottle ,etc.but want it to pick one object at a time so I want it to focus on one object at a time the what modification should i make the above code or what library should i use to do that. There are a huge amount of modifications you would make, unfortunately far too many for me to list out in a single comment. You should do some research on robotics, in particular depth cameras, servos, and associated components. Detecting the actual object is just one small piece of this puzzle. Can we detect specific class, capture the detected frame and upload to dropbox API? Yes. You can check to see if the class is one you are interested in and if so, write the specific frame to disk via “cv2.imwrite”. You can then upload the file to Dropbox. See this blog post for an example of using the Dropbox API. [INFO] loading model . . .
[INFO] starting process . . .
[INFO] starting video stream . . . Try inserting “print” statements to debug exactly where the “Illegal instruction” line is being thrown. Unfortunately it’s impossible to know based on your output. have you debug this error.?? Awesome series of posts. This allowed me to get OpenCV all up and running on my Pi. Thanks! Can I just tweak the model files so that it only have the person trained for? I’m hoping this all makes sense! Hey James — you cannot add or remove labels from the CLASSES list. That will not change how the network behaves. This has become a question often asked in the object detection posts here on PyImageSearch blog so I’m writing a blog post on the very topic. It will release in early May so please keep an eye out for it! If you’re new to command line arguments that’s okay, but you will need to read up on them before continuing. It’s a very quick fix but you need to read the post I just linked to first. You need at least OpenCV 3.3 to utilize the “dnn” module. The “dnn” module is not included in previous versions of OpenCV. Check your OpenCV version and upgrade if necessary. Awesome posts.thank you for the nice work! Do you know how to fix that. 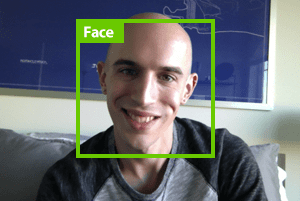 Can you clarify what your OpenCV version is? I haven’t ran into that error before. I seem to be running into exactly the same problem with TypeError: can’t pickle cv2.dnn_Net objects. I am using OpenCV 3.4.2 both on the PC as well as on the Pi. Interestingly, it works perfectly on the Pi but gives this error on the PC. I think it is something to do with Python’s Pickle. But I am using the same version of Python 3 on both Pi and PC. So not exactly sure why this error is coming up on the PC. Adding in this Reply to help someone out there. Thank you for the comment and sharing your experience Sudeep, I appreciate it. I’m sure with enough information we’ll be able to resolve the error. But it’s super strange the code works fine on the Pi but fails on the PC. I also faced similar issues when i run the code in windows, then i tried the same code In ubuntu os it works properly. Did u fix this error? No, this code will not work for “any” network as OpenCV must have the equivalent layer implemented in its library. OpenCV would need to have the equivalent “shuffnet layer” implemented in the “dnn” module. It does not, hence the error. The only optimizations done were to use my optimized OpenCV install. No further optimizations were done. so I can view picamera video on web page under my WLAN . But now, I wanna view your “frames” result on web page, how can I export your results to web pages? I think that will be cool ! Hi Yin, I replied to your other comment on this post. Please see it. You need to ensure you have at least OpenCV 3.3 installed. You can follow my OpenCV install tutorials to install a new, updated version of OpenCV on your system. Hi James — the list of classes, is just a list of strings. Do not modify it because what’s really important is the index in the list of each of those strings. In other words, you cannot simply remove elements from the classes list and expect the object detector to work properly. If you change the ordering of the list, then the indexes won’t match up. There’s a blog post coming out on 5/14/2018 explaining this. Hey James — I’m not sure what the error is here. Hopefully in the future I can write a tutorial on YOLO + OpenCV, I would really like to. You’ll want to refer to this blog post on saving video clips with OpenCV. See this blog post on “NoneType” errors with OpenCV and how to resolve them. If you would like to use this method to detect potholes in a road you would first need to train a deep learning detector on pothole images. Do you have such example images? Hi, I have completed the opencv install and am now wondering where to I execute the command. I tried to do it in the cv environment but got no such file or directory. I have the script in the file in the downloads. Do I have to put it into the opencv thing somehow or can I locate it from the cv environment and then execute the command? I fixed both issues but I have one more. It has to do with the imutils module. Even though I imported it and checked the version in the (cv) environment. It still says no module. I have tried almost everything on the internet and nothing works. Do you know the problem? Hi, I have one more question. All I want to detect is bird because if it detects other things beside bird my if statement will not work and it could possibly increase my FPS. I am now only getting 0.31 FPS. I tried deleting all of the classes beside bird but I got errors. Do you know a quick and easy way to do this? This isn’t true “lag” it’s that the network takes considerable amount of time to make predictions on the resource limited Raspberry Pi. You may want to look into using the Movidius NCS. Would it be a feasible idea to mount picamera on Raspberrypi robot car and do object detection using deep learning? Hello Adrian, Thanks a lot for the practical tutorial. I had one problem though. The video stream will freeze if the Pi connects to internet and sync the clock, while the example program is running. This might be caused by imutils videostream bug, but I’m not sure, I tried restart videostream by calling vs.stop() and vs.start() again but the videostream still freezes. If I close and restart the whole program, videostream will function again, but will freeze if the Pi tries to sync with internet clock. So, I wonder if there is any way to prevent imutils videostream from freezing when the Pi sync its internet clock? Wow, that’s odd. I have never encountered an issue where the Pi freezes when syncing the clock. It sounds like there may be an issue with your install of Raspbian. Could you try on a fresh install? I have this confusing question about raspberry pi.. I did not get answers from Quora and other sites for it and finally i bring it to you. 1. is it possible to use it without a computer ( after setting up and installing all the thing) ?that means the program sketch that will accomplish the task of counting is no more in my laptop. it has to be on the pi and the pi is not connected physically or over the network with my laptop.. because the Pi is a single computer. 2. If that is possible, does it mean I have to load the code on the SD card and that will work fine? Thank you ….. Yes, you can do this. You would install your code on your Raspberry Pi and then typically have the script run on reboot. Really appreciate your hard work! Hope to learn from you here! I have a problem when executing the camera is on but I have a grey frame with no images ? What type of camera are you using? Is it a USB camera or a Raspberry Pi camera module? How do I load an image instead of the video stream? It sounds like you do not have the OpenCV library installed on your system. Make sure you follow one of my OpenCV install guides to install OpenCV on your Raspberry Pi. One doubt: can I use this example with a Raspberry pi camera? Yes. The blog post already shows you how to do that. See Lines 35 and 36. I’m sorry for my delay but i had many other problems. I checked your advice, but i can’t find a solution: I’m sure I’ve installed imutils without any error and i’m not using a virtual environment. How can I check if I’ve installed imutils into a separate version of python than the one i’m using? You can run “pip freeze” to verify if “imutils” is listed in your Python install. You need to install OpenCV 3.3 or greater to access the “dnn” module. It sounds like you do not have OpenCV 3.3+ installed. I don’t have any tutorials on fire detection but I would certainly look to cover it in a future tutorial. Before you can even deploy your model to detect fire you need to train it. You need to gather example images that contain fire. If you’re new to training your own models from scratch I would suggest starting with this tutorial. Could you let me know what the issue might be? Hello Adrian, can we add text to speech for the labels detected by say, gtts and pygame? I haven’t tried any text to speech libraries on the Pi, but yes, provided you can correctly detect the label you could pass the string of text into a text to speech library. How can I create a caffe model to detect other objects? I cover how to train your own custom object detectors inside Deep Learning for Computer Vision with Python — I would suggest starting there. and how can i build own model ? Thanks Ilham, I’m glad you liked the tutorial 🙂 Are you specifically asking how to train your own deep learning object detector? If so, I would suggest starting by reading reading this guide on the basics of object detection. From there you should read Deep Learning for Computer Vision with Python where you can learn how to train your own object detectors (including code). I already install imutils version: 0.5.1 but the errors keeps showing..
Im working on a school project, to detect numbers of fruits (eg apple) within a image. 1) Activate Picamera to capture a image, and save it into a folder. 2) Load the image file, and run it on the object detection module. Hopefully, the object detection module will be able to identify the number of fruits within the image, track and count the numbers, and return the number to a simple database. Will I be able to leverage on your above codes to identify different fruits such as apples and bananas? Hey Daniel, you would actually need to train your own custom object detector to detect various types of fruits. The model included in this tutorial is not trained on fruits. I would suggest you read this tutorial on the fundamentals of deep learning object detection so you can form a plan moving forward with your school project. Best of luck with it! Hello, I have a question: Can I use the SSD in Windows 10? Provided you have OpenCV properly installed on your Windows machine, yes, it will work. I have a question , How can I stream my raspberry camera share on web and control movement , for example people counting in street or in office ? 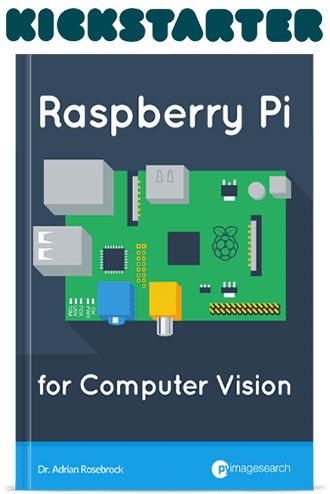 I do not have any tutorials on streaming the output from the Raspberry Pi but I will be covering it in my upcoming Raspberry Pi + computer vision book. Would there be a way to make this program verbally state what object it has detected? You would need to look into a text-to-speech API. I assume you are referring to this tutorial? If so, yes, OpenCV 3.3.0 and Tesseract can work together. Thanks a lot for this very good tutorial! Just a few question, I’m trying to detect car in an image using cv2.imread(“imagename.jpg”) but nothing is detected. I’ve trying with a lot a images (and videos), same results. By using debug in LiClipse I’ve seen that the program is executed but not respond after calling the line net.setInput(blob). Note that I’m running program on Windows. Please have you an idea? i am working on my project for obstacle detection in a path and your project is somehow related to mine but the difference is that i just want to have the detection of the object or the blob without classifiying it. My project aims to just detect obstacles in a path for the blind using video stream. So, classifying it doesnt really needed. Do you have an idea? I have a program error. Follow this tutorial to use multiple cameras on your Raspberry Pi. Hi Adrian, thanks a lot for this post-tutorial. It’s Great!!! I am a very new to python, raspberry and object detection but this was really easy to understand. I followed it step by step and managed to achieve Object detection through my Picamera, brilliant. The only issue I had was “make -j4” which I resolved with “make” at 1024 and not at 2048. 1. Can you please give me some hint on how to customise the models in order to detect objects of my interest? 2. If I got it right, thanks to this Python code we are loading models from Caffe. Can I create a model and load it? Would it be better to modify an existing one, if possible? 3. If creating and loading a new one is the way, can you tell me how to proceed? 4. If modifying an existing one is the way instead, can you tell me how to proceed? 5. Whichever is of the two above, how do you then class label the new model? MobileNet SSD? 6. If you already post the process can you point me to it with the link? I understand that is a time, and CPU, consuming process. Is a windows 10 laptop sufficient AMD architecture and CPU? An IMAC can perform the task? If none of the two, how can I achieve that? If you’re new to object detection I would recommend reading this gentle guide to object detection which addresses your questions. I also cover deep learning-based object detection in detail inside my book, Deep Learning for Computer Vision with Python. Thanks for sharing this interesting topic. I am actually doing a final year project and i have to take info from motion sensors and the signal will be processed to the microcontroller and will then tell the camera to start recording the scene. The camera will take a picture and then start recording a video for 5 to 6 minutes. Image processing will be done with the picture taken, differentiating between human and animal. then the owner will receive sms , saying the intruder is either a human or animal. Can you help me please? That sounds like an awesome final year project. I actually cover how to build a face recognition system that sends SMS messages using a Raspberry Pi inside the PyImageSearch Gurus course. I would suggest using those lessons as a starting point for you project. I have another question. Which pi is better for image processing? 3b or 3b+? The 3B+ is slightly faster but both are suitable for OpenCV, just keep in mind that the Pi is very much underpowered compared to your laptop/desktop or a system with a GPU. If ever my camera detects intruder entering my garden, using object detection and then sends an sms to the owner to let him know about the nature of the intrusion, either an animal or human. Considering that i’m using raspberry pi. Can you advise me on that ? I’ll actually be covering that exact project in my upcoming Computer Vision + Raspberry Pi book, stay tuned! Thank you, is the Pi NoIR camera good enough for human detection? It really depends on your scene/environment, but yes, the Pi NoIR camera can be used for human detection. To be used in a garden , using Haar cascade classifier feature, both day and night time. Do you have python codes for HOG + Linear SVM detector using raspberry pi ? I cover HOG + Linear SVM object detection, including on the Pi, inside the PyImageSearch Gurus course. I cover your exact question in this tutorial — please give it a read. I used my USB webcam attached to a Pi. You could use the Raspberry Pi camera module as well (see Lines 35 and 36, including the comments above them). I cover your exact question in this gentle guide to deep learning-based object detection. Hey I tried the following example to initially run in PC it worked fine and I’m just impressed with the decent efficiency but can you suggest me how can I use other pretrained model in this and can you suggest me some to tryout? Are you looking specifically for object detectors? Image classifiers? Or any model that will run on the Raspberry Pi? I was wondering if it would be possible to use this code but setup a “super computer” out of raspberry pi’s i.e. 4 or 5 pis linked together to process the data faster? No, you are far better off investing your time or money into an Movidius NCS for the Pi or using something like a Jetson TX2 for embedding deep learning. Networking together a bunch of Pis won’t help performance. Congrats on working on your undergrad project, that’s very exciting. As for a resource, make sure you read through Deep Learning for Computer Vision with Python where I show you how to train your own custom image classifiers, object detectors, and instance segmentation projects — all of them will help you with your project. Hi Adrian i’m a student from Indonesia and I’m trying to finish my degree and i’m tryingto make final project about detecting people in a room, but my fps is so low it’s arround 0.30fps, is it possible because the camera i use or is it because the raspberry ? If it’s because the camera what kind of usb camera you recommend so i can get a better fps…. The Raspberry Pi itself will be slow for deep learning-based object detection. You may want to try using a Movidius NCS or Google Coral to speed it up. I’ll be covering my other best practices on how to perform Deep Learning on a Raspberry Pi in my upcoming book, stay tuned! Great job ! i would like to make the same thing but to recognize the line form ( if it is continious or not ) . any help please ? how to use same code for two or more usb web cam? To use multiple cameras you can use this post. Hi Adrian, thanks for the tutorial, is that the pre-trained model you put in the code file, only have the classes you stated in the code? Also how to train more different classes into the model? I would suggest you refer to this tutorial. The classes you mentioned in this tutorial, are just the classes can be detected by MobileNet SSD pre-trained model? Correct, the classes mentioned in this tutorial come from the pre-trained MobileNet SSD. Are you SSH’ing into your Pi? Hi Adrian! All of your posts are really helpful, first of all i want to thank you for everything because you help me in my school project. It is my very first time learn about computer vision and you explained everything well and easy to understand. I want to ask you something, so in our school project we want to make animal detection using raspberry pi, and as you explained the training animal data are “bird, cat, cow, dog, horse, and sheep’. 1. Is it possible to add another animal for the training data and delete the others that i won’t use? 2. After detect some animal, for example cow, it will trigger our actuators like buzzer and led. Can you tell me where can i put my code for the actuators? Once again thank you very much! You are awesome! 1. Yes, that’s called fine-tuning. See this tutorial to get your bearings followed by Deep Learning for Computer Vision with Python where I cover fine-tuning in detail. 2. See this tutorial where I use a buzzer triggered off of actions as well.